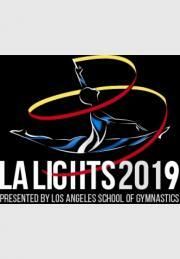 ALL Photos from Barny of a single Gymnast from LA Lights 2019. When ordering, please write the Name of Gymnast, Nation, Category and Startnumber, so we can find your Photos. If you want to get the photos by Download, please choose "Download" as "Way of Delivery", so you don't pay shipping costs. You will get an eMail with a link to download a ZIP-File with the photos some days after the competition. Best way of payment is PayPal or Credit Card.